At the heart of Anita Brookner's new novel lies a double mystery: What has happened to Anna Durrant, a solitary woman of a certain age who has disappeared from her London flat? And why has it taken four months for anyone to notice? 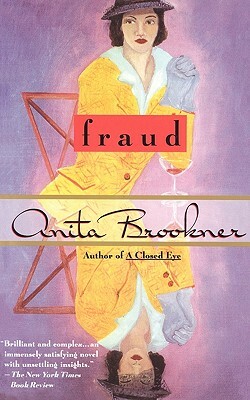 As Brookner reconstructs Anna's life and character through the eyes of her acquaintances, she gives us a witty yet ultimately devastating study of self-annihilating virtue while exposing the social, fiscal, and moral frauds that are the underpinnings of terrifying rectitude. Anita Brookner was born in London and, apart from several years in Paris, was a lifelong Londoner. She trained as an art historian and taught at the Courtauld Institute of Art until 1988. She is the author of twenty-seven books, including the Booker Prize–winning novel Hotel Du Lac. She died in 2016.